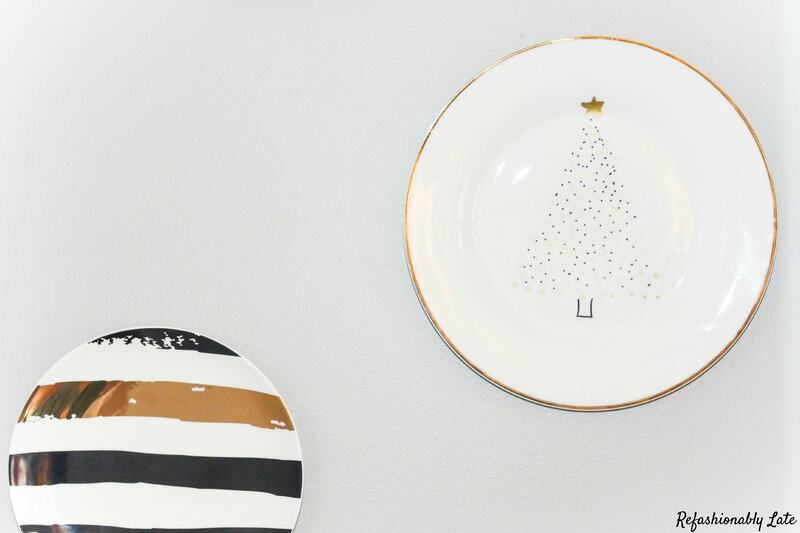 Contributor Ruthie is here sharing her adorable DIY Holiday Plate Wall Decor! This is a beautiful and inexpensive way to decorate for the holidays! 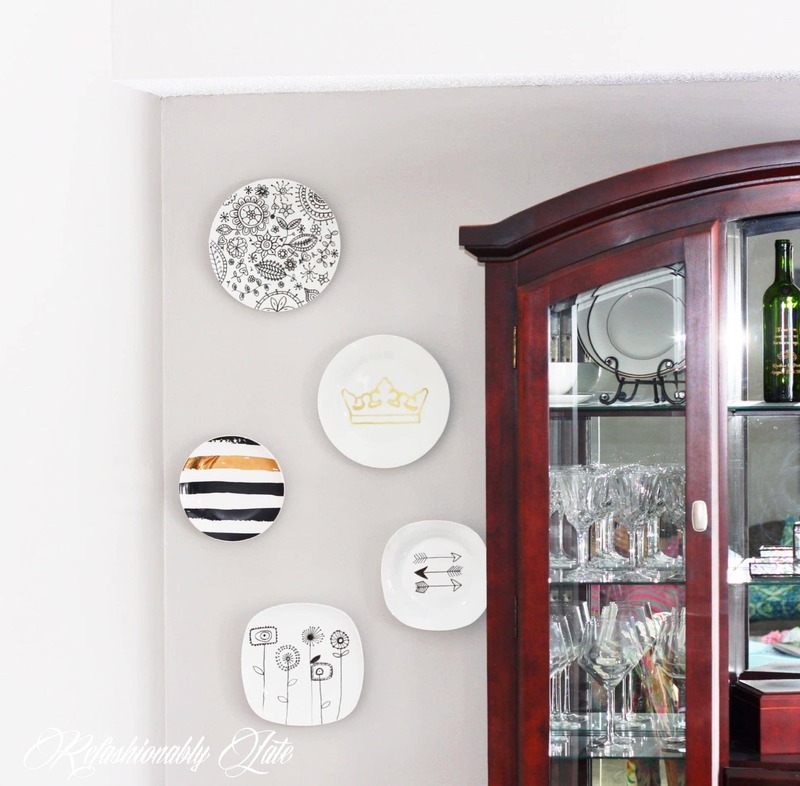 In March, I created a feature wall of DIY wall plates in my dining room. It was one of my first successful posts that had been shared and featured on Hometalk. As a fairly new blogger I was quite excited about it. Not only was I excited that it was well liked, but I was ecstatic with how it turned out. 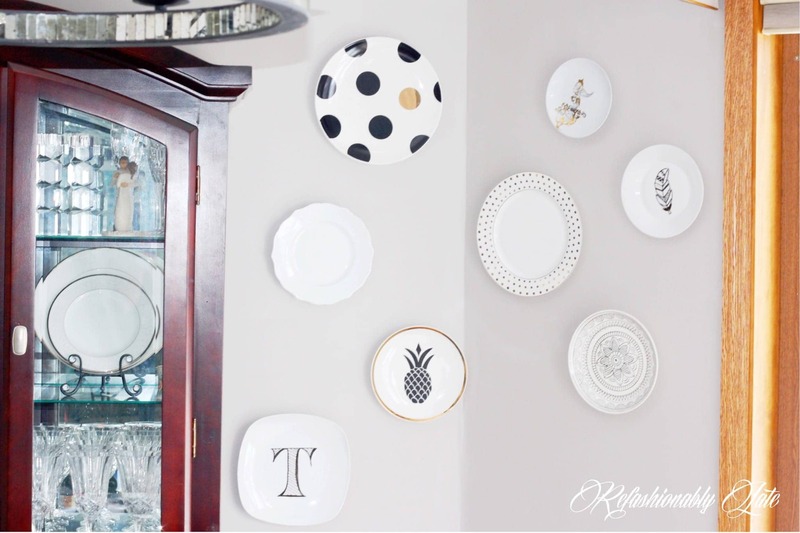 I had always envisioned a beautiful gallery wall of plates in my dining room. 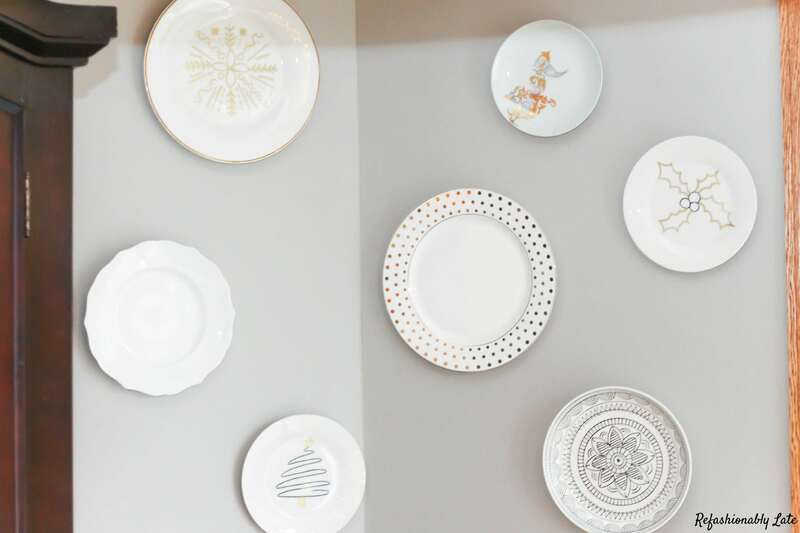 I have a semi-formal dining room and I love the color combo of black, white and gold so I created and bought some beautiful plates to display. You can find the full tutorial here. I’m getting excited to decorate for Christmas as it is my most favorite time of the year. I love to have my decor blend in and compliment my current home decor. I’m not one for non-traditional bright Christmas colors. I’ve always followed in my mother’s foot steps and have gone with the gold and red theme. It’s classic, traditional and beautiful all wrapped up in one! 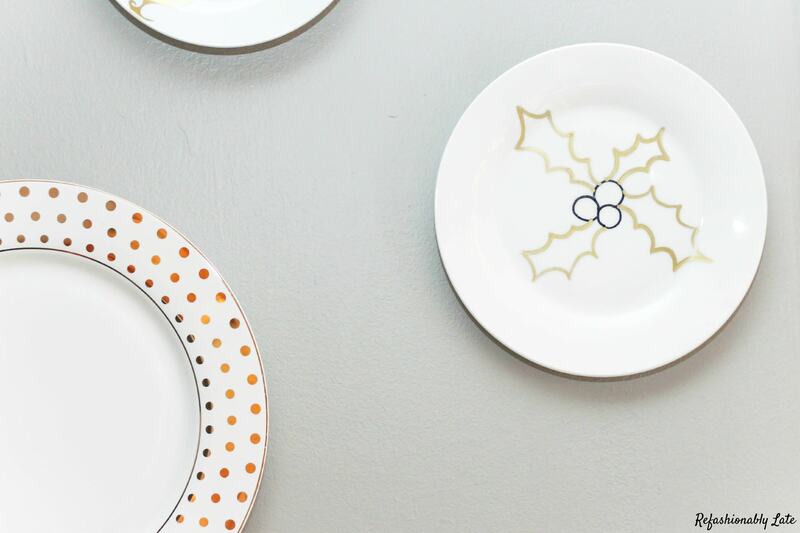 Since I want my decor to blend in I thought what better way than to replace a few of my DIY plates with some holiday DIY plates! 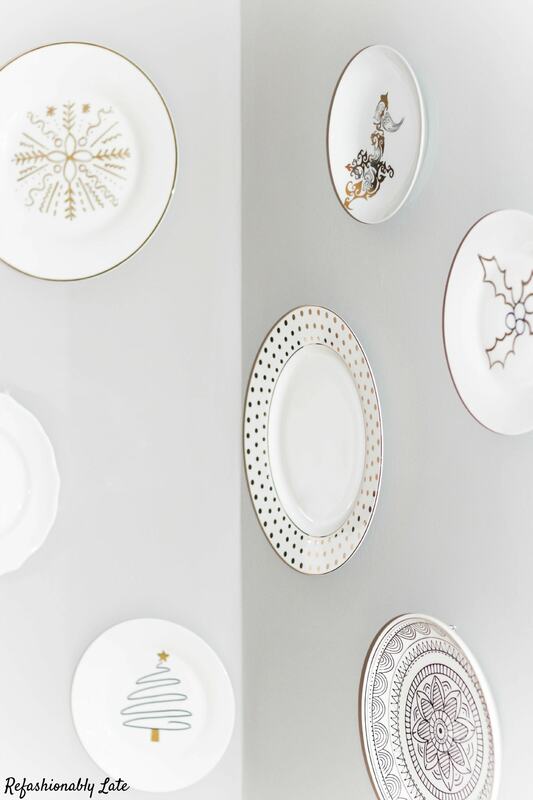 Here’s a short and sweet tutorial on how to create your own Holiday feature wall! Once your plates are finished then all that’s left to do is make your own plate hangers. 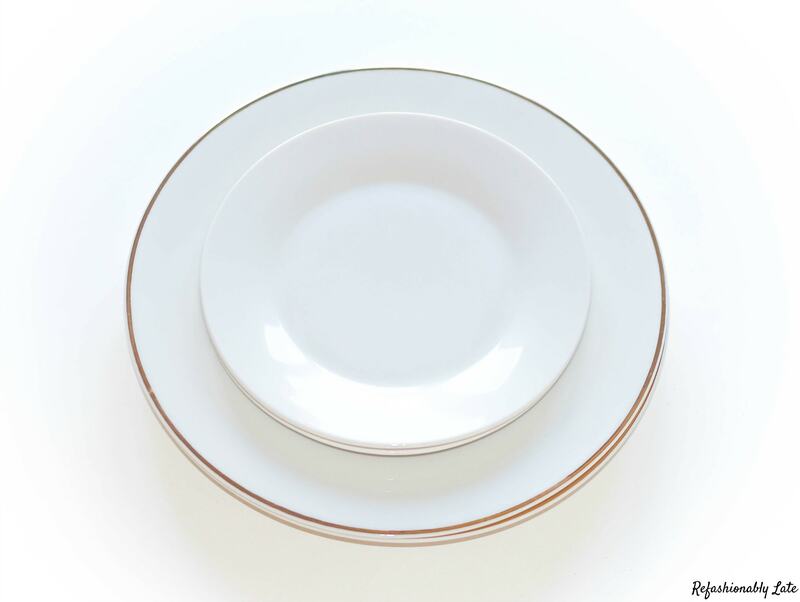 You can buy many types of different plates online but honestly I didn’t want to spend much money on it. So I thought about some household items that may work. Paper clips and gorilla glue! All you have to do is glue a large paper clip to the back center of the plate. 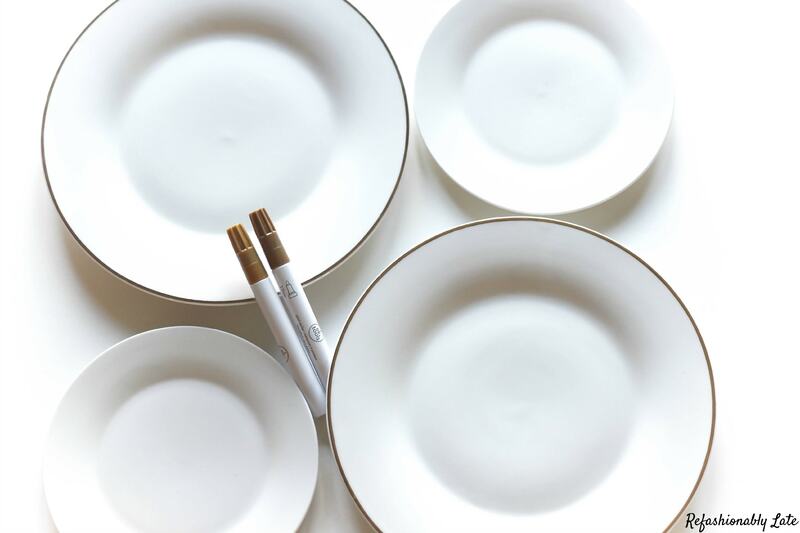 Make sure not to put too much gorilla glue on the plate – it tends to grow! If it still happens you can cut off the growing glue with a knife! Once it dries, usually within a few hours, they are ready to be hung and added to your beautiful holiday decor! I love how such a simple and affordable decoration really adds to my holiday set up. I love watching my holiday decor grow! I feel like it gets more “grown up” each year! I’m getting rid of old decorations and trying to make sure all of it compliments my decor throughout my home. You can see a tour of my home with all of my Holiday decor here. I also created a beautiful tablescape for the Holiday season that I’m absolutely in love with! Thanks Amanda for having me again and I hope everyone is having a wonderful week! Can you believe Christmas is 24 days away??!! I’m so excited! It’s my favorite holiday filled with love and excitement! 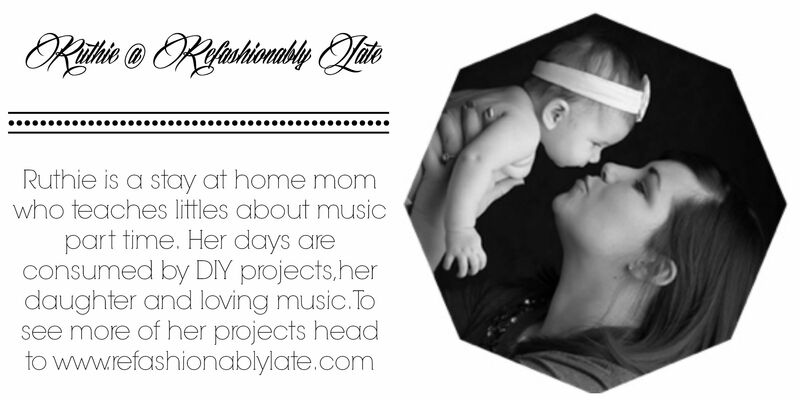 Want to save this idea for later? Use this pinnable image!